The Error 1500 in Windows 10 is an installation failure error. This error may occur when you try to install a new program or software on your PC. Even though any installation is not going on your PC, this error may show up unexpectedly. Following is the error that shows up: “Error 1500. Another installation is in progress. You must complete that installation before continuing this one“. The Error 1500 Another installation is in progress usually shows when a program was being installed on your PC earlier. It can happen either if the installation was aborted in between, or even when the installation was completed. In the following article, we get to know about some genuine methods to help you get rid of this error, so that you are able to install programs on your PC without any hassle. It might be possible that an installer process is running in the background, or is stuck in the background. However, you are not able to see it with a quick glance at your PC. This is when the Error 1500 Another installation is in progress would trouble you the most. 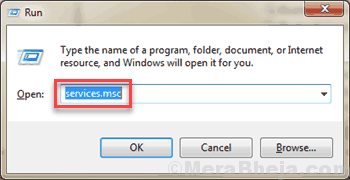 In order to be able to install a program on your PC without error, you will have to see if any such process is running in the background. And if any such process is found, it needs to be killed. Step 1: Press the Ctrl + Shift + Esc keys on your keyboard to open Windows Task Manager. In the window, go to the Processes tab. Step 2: You will find here a list of Background Processes running. 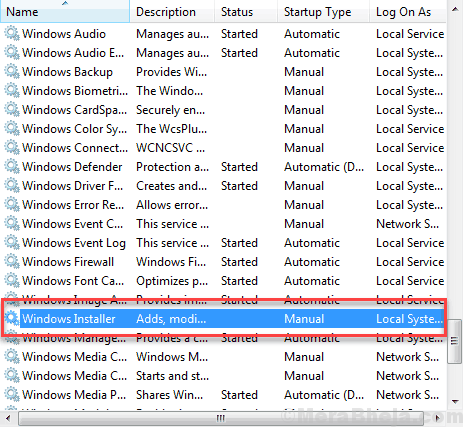 In the list, look for installer.exe, setup.exe, or msiexec.exe processes. 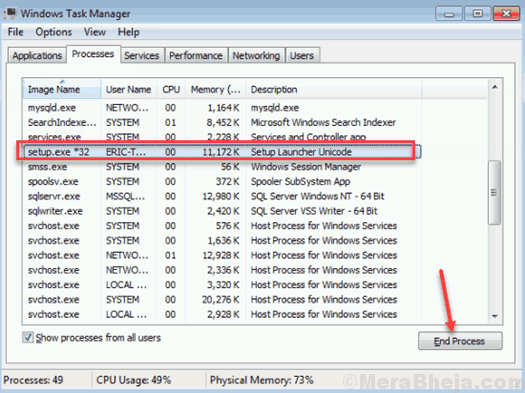 If any of these processes are found running, select it and click on the End task button. After the installer background task has ended, try to install the program that you were. This will most probably fix the issue for you. 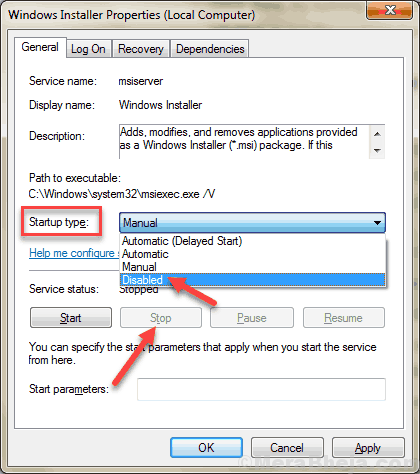 In case the processes that are mentioned in Step 2 are not found in the Task Manager’s Processes tab, or if the end task method did not work, try the next one to fix Error 1500. Windows Installer is a service that runs on your PC to let you install programs. Sometimes the Windows Installer service starts during an installation process but does not stop after the installation is complete. So, when you try to install another program after that process, Windows shows Error 1500 Another installation is in progress error. 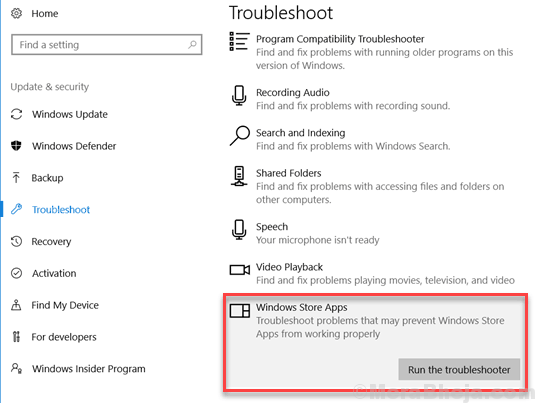 In order to tackle this problem, you may have to stop the already running Windows Installer service and set it to stay disabled when Windows boots. This will ensure that the Window Installer service only starts when a program is to be installed. Step 1: Press Windows + R keys together to open Run dialog box. In the Run box, type services.msc and hit Enter to open the Services manager window. Step 2: In the Services Manager window, scroll through the list of services until you find the Windows Installer services. Double click on it. Step 3: A new Windows Installer Properties windows will open up. Here, press the Stop button if you get the option to. Then, from the Startup type drop-down, select the Disabled option. Then click on the Ok button to apply the settings. Step 4: Now, restart your PC. After restarting, install the program that you were trying to install. You will not get the Error 1500 Another installation is in progress error on your PC. 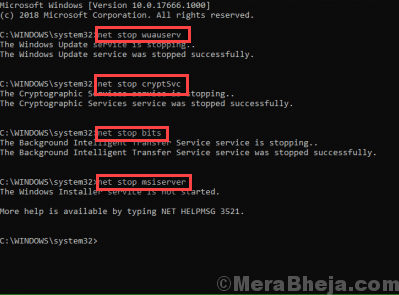 If you are still unable to install the program, try the next method. Windows’ Registry registers every action that occurs in the operating system and makes Windows work according to the registered registry reference. While installing a program, an installation reference status is added to Windows registry. Once the installation is complete, the reference status is also removed. But in case the installation reference status is not removed due to an error, Windows will not let you install any program and will return Error 1500. Step 1: Open the Run box by pressing Windows + X keys. In the Run box, type regedit and press the Enter key. Under the Installer Registry key, you will find the InProgress subkey. 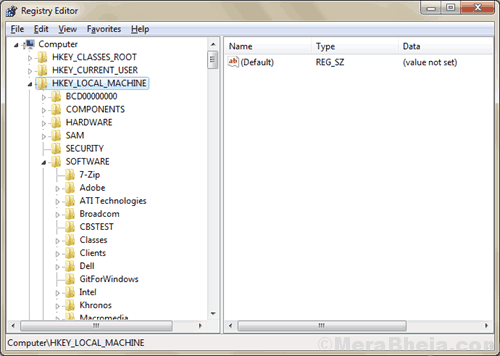 Click on it to display its registry content on the right panel of the Registry Editor interface. Step 3: The (Default) string that shows up on the right side of the interface, double-click on it. A box will open up. Here, delete the value available in the Value data field, then click on the Ok button to apply changes. Now, close Registry Editor, and just to be on the safe side, restart your PC. After the restart, install the program you were trying to install. If this did not fox the Error 1500 Another installation is in progress issue in Windows 10, give the next method a try. Step 1: Run Command Prompt with Administrator rights on your PC. To do so, press the Windows + X keys at once on your keyboard. 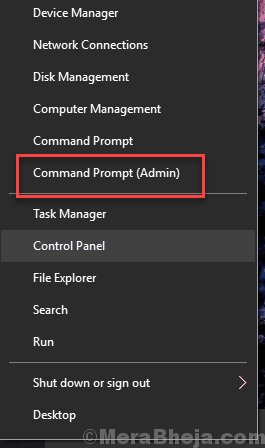 From the Win+X menu, select the Command Prompt (Admin) option. 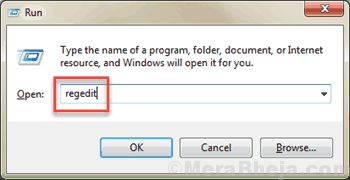 Your PC may prompt you to allow Windows to run Command Prompt in Admin mode. Allow so by clicking on the Yes button. The SFC scan will begin which may take some time for completion. Wait till the scan is complete, and do not interrupt the SFC scan. When the SFC scan is complete, restart your PC. When your PC restarts successfully, try installing the program on your PC which you were unable to. In case, you are unable to install and still getting Error 1500, the next step will be to run another scan named DISM scan. What would have happened is, the SFC scan was not completely able to fix some of the System Files with any kind of error. 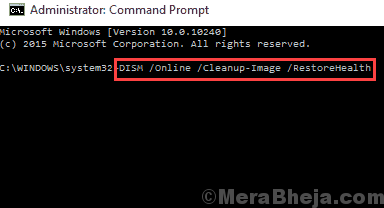 To make sure that all the System files of Windows are fixed, you should run a DISM scan (Deployment Image & Servicing Management). DISM scan can easily repair corrupt System Files of Windows which SFC would need to run successfully. Let the DISM scan complete, which may also require some time to complete. Once the DISM scan is complete, run the SFC scan again, as directed in Step 1 and Step 2. When you are done running the SFC scan again, restart your PC. After the restart, see if you are able to install a new program on your PC or not. In case, you get the Error 1500 Another installation is in progress, the move on to the next step. Step 1: Repeat the Step 1 in the Method #4 that is mentioned above. This will run the Command Prompt in Admin mode. After all the commands are run successfully, it would be the time for you to restart your PC. The Error 1500 in Windows 10 would be solved for sure. 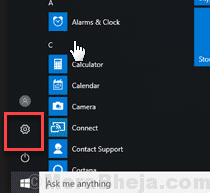 Step 1: Open Start menu, and click on the Settings option to open Windows 10 Settings. Step 2: In the Settings window, you will find various options. Click on the Update & Security option. Step 3: A new window will open, where you need to look in the left panel for Troubleshoot option. A new set of options will appear in the panel on the right side. On the right side of the panel, look for Windows Store Apps section. Select it, then click on the Run the Troubleshooter option. The troubleshooter wizard will start running. Follow the on-screen instructions to run the troubleshooter completely. 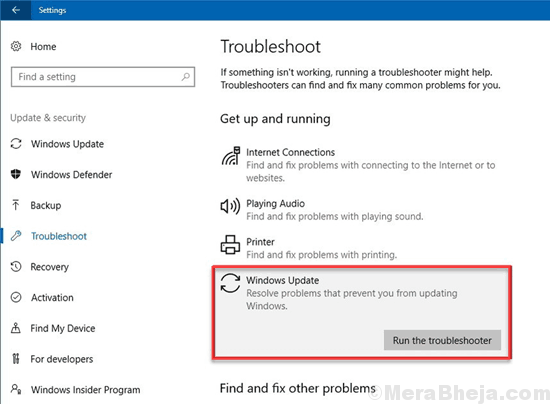 Step 4: Now, again in the Troubleshooter options, look for Windows Update section on the right side of the window. Select it, then again, click on the Run the Troubleshooter option. Follow the wizard’s instruction to complete the troubleshooting. 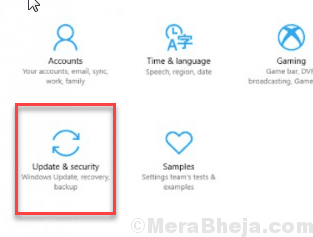 Following these steps will fix the issue with Windows Update and Windows App Store update installers. And most probably, you will not get the Error 1500 Another installation is in progress error in Windows 10.
the steps mentioned above will definitely help you out with installing a new program on your PC, without returning any type of error. Let us know in comments, which one worked for you.